"No estate is too small or large for us to work with you." We are a family owned business that has been providing estate liquidation services in the Southeast for over 20 years. 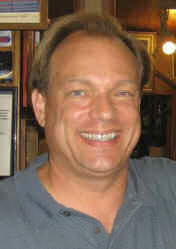 Brad Peele is a certified appraiser through the CAGA Guild and does appraisals for antiques, art, business, bankruptcy, and divorce, having conducted hundreds of Estate Sales through out Tampa including St. Petersburg, Sarasota, Clearwater, Winter Haven, Bradenton, Orlando and the Bay Area Beaches. Before you do anything, we encourage you not to throw anything away. Estate sales are our arena. We can find and sell that rusty old coffee tin in the garage for $1,000. Everyone at some point will, unfortunately find themselves in a situation that involves closing or cleaning out a home. You may be downsizing, moving out of state, or liquidating an estate of a family member. This is the time when you need our 20 years of professional estate sale services. Our expertise and skill at liquidating an estate is vast, professional, and reliable as our client reviews indicate. We pride ourselves at working from start to finish to maximize your revenue; our staff will organize, setup, inspect, clean, and inventory your items, all in a hassle free and compassionate manner. We will at all times maintain and respect your privacy, and honor all of your request to make the estate liquidation process as easy a transition as possible. After signing a contract, the only thing you have to do is take what you wish to keep and walk away. We do the rest. We organize, price, market, sell, and leave your space broom clean. Our fees are structured entirely on a commission basis. You only pay us for items we sell. Period. Most sales take a 5-7 days to arrange, 2-3 days of selling and 3 days to leave the area broom clean. At the end of the sale, payment is immediate and includes an accounting of all items. We do not hold YOUR money. Our staff has been with us for a long time and each and everyone of them totally understands the needs of each of our clients. We have experts on call if there is a question that we cannot answer. Yes, if needed, we offer eBay sales, auction referrals and donation slips for tax purposes. We offer a free walk through, discussion of your estate liquidation needs and give you a written estimate. Or you can visit our store front and warehouse. Either way, we are pleased you want to work with us. Sign up to subscribe to our Estate Sales and Events Newsletter. Yes. We are bonded and insured. We were the first in our industry to carry EVENT INSURANCE which most other liquidators do not. (727) 252-6271 or email us your questions.